There are wines that you save for special occasions, and wines you buy repeatedly because they are a good value, and of reliable quality. The Hahn Estates Cabernet is an everyday wine, always reasonably priced, and always good quality. Whenever I see the red rooster on the label I pick up a bottle. So why the red rooster on the label? Because founder Nicolaus Hahn grew up speaking German, and in that language the word ‘Hahn’ means rooster, which is why you see one on every bottle of wine they produce. 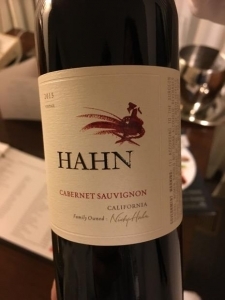 The 2015 Hahn Cabernet Sauvignon is sourced with grapes 100% from the Monterey area. Although wines have been made there since the 1790s when Spanish missionaries planted grapevines in the Santa Lucia Highlands, it wasn’t considered a “prime” grape-growing area when Nicky Hahn and his family purchased land there in 1980. The Hahn family knew the area’s potential, and 11 years after buying land in the Highands and putting out some well-regarded wines, the Santa Lucia Highlands (SLH) was finally recognized as it’s own AVA, or American Viticultural Area. Over the last decade, the Hahn family has won dozens of awards for their wines, including the Top 100 Wine Values in the world by Wine Spectator magazine. I like their 2015 Cabernet. This is a delicious and easy-drinking wine, with ripe blackberry and blueberry flavors, some toasted oak and vanilla notes, and savory spices on a smooth finish. It’s good quality, but value-priced enough to drink every day at around $12 a bottle. Stock up! On my five-cork scale based on taste and quality, the 2015 Hahn Cabernet Sauvignon gets 3.8 corks! 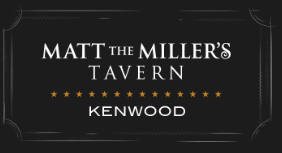 It’s a solid buy that you can open tonight and enjoy.